From about 1990 to about 2005, I was immersed in the study of Karl Barth and John Howard Yoder. I published a book on Yoder and a follow-up book on social ethics. I was reading people like Colin Gunton, John Zizioulas, Mirosalav Volf and Stanley Grenz, who were promoting the idea of relationality as the essence of God. This relationality is seen as fundamental to the nature of God as Triune in that the three persons are regarded as individual persons with their own wills who cooperate together like a family. So, the relationality within God is expressed in God’s external acts in the creation. Having been convinced of Yoder’s pacifism, I wanted to ground social ethics in the very being of God. So, I envisioned writing a book on the doctrine of God in which I would lay a foundation for a relational understanding of God as the basis for social ethics. Having obtained a contract from InterVarsity, I went off to do research. Zizioulas and company had argued that the new social Trinitarianism was grounded in the work of the Cappadocian fathers and was preserved better in the eastern tradition than in the western tradition shaped by Augustine. Gunton attacked Augustine as not having done justice to the doctrine of the Trinity. This historical narrative of the Eastern social trinity versus the Western near-Unitarianism was crucial to my whole project because the relationality within God—mirrored in the way God related to the creation—supposedly was the explanation for what Scripture means when it says “God is love.” My idea was to articulate a social ethics of love based on a doctrine of God as love. The most important book I read was by Lewis Ayres, Nicaea and Its Legacy: An Approach to Fourth-Century Trinitarian Theology (Oxford, 2004). In this book, Ayres argues that twentieth-century theology not only has departed massively from Nicaea, but that contemporary theology does not even understand the fourth-century issues well enough to understand to what extent it has departed from the tradition. This was the start of a long process of wrestling with the question: “What went wrong?” How could things have gone so far off track so fast in the twentieth century?” Clearly, the Nicene tradition had been preserved intact for a millennium and a half, but now things have unraveled completely. What explains such a development? There is but one only, living, and true God, who is infinite in being and perfection, a most pure spirit, invisible, without body, parts or passions; immutable, immense, eternal, incomprehensible, almighty, most wise, most holy, most free, most absolute; . . . most loving, gracious, merciful, long-suffering, abundant in goodness and truth, forgiving iniquity, transgression, and sin; the rewarder of them that diligently seek Him, and withal, most just, and terrible in His judgments, hating all sin, and who will by no means clear the guilty (Chap. II, Art. 1). This seventeenth century confession is typical of the Reformation confessions in what it says about the nature of God and not materially different from what the Roman Church teaches about the attributes of God. It is the standard teaching of the entire, classical tradition. Third, notice that the framers of this confession do not seem to feel any sense of contradiction between God being immutable and God forgiving or between the impassibility of God and God’s hatred of sin. In this they are typical of the entire theological tradition from the early church fathers to the reformers. But, fourth, note also that the same tension between the same God being immutable and impassible, on the one hand, and also loving and hating, on the other, is found not only in the doctrine of God passed down in the tradition, but also in Scripture itself. In the book I am just now finally finishing I defend classical theism as the true teaching of Scripture, but I also try to give an explanation of why twentieth-century theology did not. I believe it has to do with a massive shift in metaphysics in modernity from the theological metaphysics that was generated by the Nicene doctrine of God to a neo-pagan metaphysics of philosophical naturalism that came to dominate modernity. The new social Trinitarianism and relational theism that is so common today is an attempt to revise the Christian doctrine of God in such a way as to make it fit within the naturalistic metaphysics that is widely accepted in late modernity after Kant and Hegel. As I thought about this problem, I came to the conclusion that the twentieth-century revisionists, who were subjecting classical theism to such a withering critique, were themselves snared in questionable, modernist, metaphysical assumptions and in danger of losing touch with the orthodox tradition and the biblical roots of that tradition. It was quite ironic, since the typical move of the revisionists was to use Scripture to refute and revise the tradition. But it began to look to me as if modern hermeneutics was controlled by certain philosophical assumptions that derive from post-Kantian and Hegelian metaphysics. The revisionists advocated the “Hellenization thesis,” according to which the church fathers fell into the trap of reading Greek philosophy into Scripture thus corrupting the “pure” Hebraic thought of the Bible. But it seems to me that the modern critics themselves were using Kantian and Hegelian metaphysics to interpret the Bible to a far greater degree than the fathers had utilized the thought of Plato and Aristotle to do so. I think we have to acknowledge that everyone utilizes metaphysical assumptions in exegesis and that the choice is not “metaphysics or not,” but rather, “unrevised pagan metaphysics or biblically shaped metaphysics.” It began to look as if the modern revisionists were far more uncritical of the dominant metaphysical assumptions of their culture than the fathers had been of the metaphysical assumptions of their culture. As I read the fathers, especially Athanasius, the Cappadocians and Augustine, and patristics scholars, such as Lewis Ayres, John Behr, Robert Wilken, and Frances Young, I gradually came to see that the fourth-century fathers had utilized certain metaphysical concepts in a careful and critical manner, in some cases re-defining words and in other cases making precise distinctions, in order to restate the biblical message in ways that preserved the meaning of the Bible and defend that meaning against heresy. I marvelled at the care they took in handling the concepts with which they dealt and at how clear their thinking was. The historic, orthodox tradition of Trinitarian classical theism taught that only by speaking of God as other than the cosmos can we say what the Bible says of God. The doctrine of creatio ex nihilo was crucial in maintaining the Creator-creature distinction. This essential distinction between God and the world is what is lost in modern, philosophical naturalism. Relational theism of all sorts represents a move toward pantheism and the various forms of social Trinitarianism and theistic personalism represent a move toward polytheism. The pressure on Christian theologians to move in these directions is coming from the desire to articulate a doctrine of God that makes sense to a culture in which the concept of Divine transcendence has been ruled out. The choice, it seems to me is between a Nicene doctrine of God that expresses the transcendence of God, on the one hand, and a modern doctrine of God that leaves transcendence behind, on the other. And, in order to affirm transcendence, one has to face up to the existence of irreducible mystery in the doctrine of God. The orthodox, Nicene tradition had generated a doctrine of God in which the three persons (hypostases) share one common being (ousia) and thus constitute one God. The mystery of God means that the immanent Trinity is incomprehensible to human reason and that what is revealed in the economy (that is, in history) is all true so far as it goes, but it does not reveal all of God’s eternal being. How could it? How could the finite comprehend the infinite? The distinction between the immanent and economic Trinity is crucial if we wish to avoid idolatry. Instead, the purpose of theology is to take care over what words to use and how to use them so as to confess the exact nature of the mystery that we confess to be the true meaning of the holy Scriptures. Theology expresses our faith; it does not eliminate the need for faith, and it does not eliminate mystery from our doctrine of God. True theology is contemplation of the Triune One who creates the cosmos, speaks and acts as the sovereign Lord of history and who alone is to be worshipped. Craig Carter (PhD, University of St. Michael’s College) is Professor of Theology at Tyndale University College and Seminary, where he has served since 2000. Prior to his full-time role as professor, he served Tyndale as Vice President and Academic Dean. 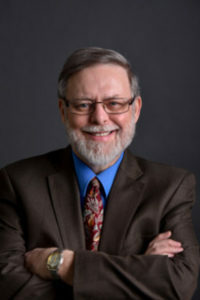 He has published a number of articles and reviews in various publications and is the author of four books, including the recently published The Faith Once Delivered: An Introduction to the Basics of the Christian Faith and Interpreting Scripture with the Great Tradition: Recovering the Genius of Premodern Exegesis. ← Can an Impassible God Love?